It's something that you will see mentioned a LOT on social media. UAS or 'Ukulele Acquisition Syndrome'. 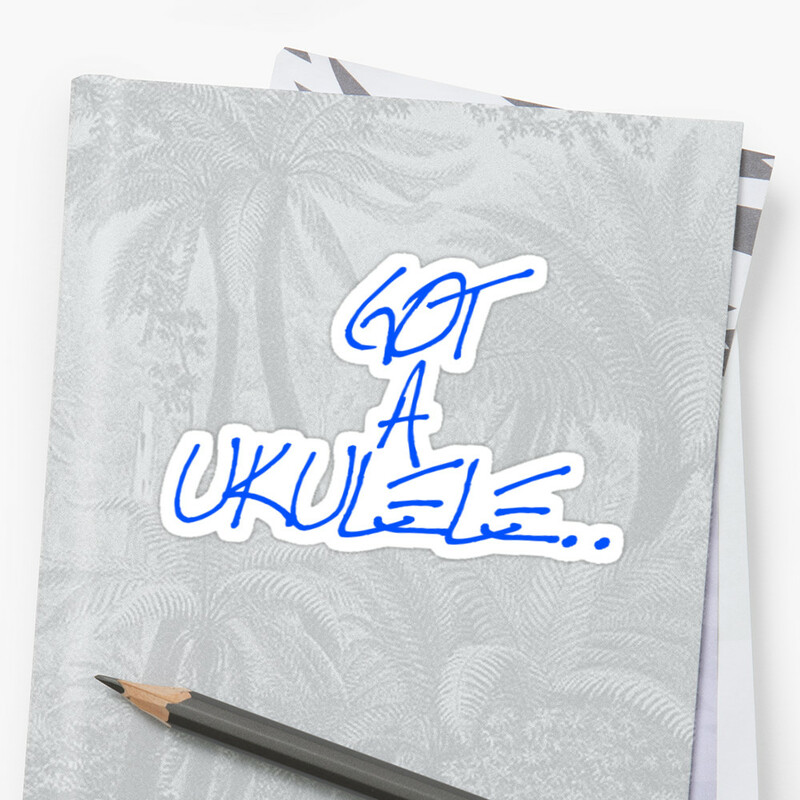 A tag name given to the fact that there is an assumption that all uke players can't stop buying new ukuleles... Well, a confession. I used to suffer from this, but strangely not any more.. The concept is not new, and in the world of guitars the term 'Guitar Acquisition Syndrome' (with a far funnier acronym of GAS) has been talked about for years. I suspect it actually happens with all sorts of instruments, or in fact anything that had a community side to it. Yet we have all seen the endless memes and graphics on various social media outlets. You know the sort, the ones that say, jokingly that you 'can't have too many', or the endlessly shared graphic of Batman slapping Robin edited to read something like 'no, that's not enough ukuleles.. Or how about the image of the confused child coupled with a line like, 'so then she says no, you have to many ukuleles...' You know the sort of thing because they are endless. They seem to perpetuate the myth that 'more is good' and by doing so, come with an additional layer (unintentional perhaps, but by deduction, an additional layer nonetheless) that fewer instruments in ones collection is in some way bad or sub-standard. That worries me. Not only do I think it is a flawed concept, but who the hell came up with this? To be clear from the off (to save those who only skip to the end of these rants in order to express their offence without actually reading the words..), how many ukuleles you buy is entirely up to you. As far as I am concerned, if you buy one or you buy one hundred, it doesn't matter to me. You should o what makes you happy. In fact it doesn't (or shouldn't) matter to anyone, as how many instruments you have is no indication of either how well you play or how much you love the instrument. It is merely an indication of, well, how many you bought. Nothing else. So I said earlier that I was afflicted. First things first, many people still seem to assume that because I review so many instruments that my house must be full of them. Not so. Firstly, my wife would have words about that, and secondly most instruments that appear on this site are loaned to me only. (It's partly fear of the wife, but mainly to ensure I don't take any payment in kind or otherwise for reviews). But... I have owned far too many instruments over the years. At one point I owned nearly 50 ukes in this house. You may gasp, but I know people who own many more. MANY more. Seriously. What confuses me is when people start buying and collecting them for the sake of it, often buying many instruments which are extremely similar to each other just to swell the numbers. You know the sort of thing - owners of five different laminate mahogany concert ukuleles from a Chinese factory (probably all made in the same factory at that) and still hankering for a sixth. And I have seen some collections that are extremely large and full of mainly low end instruments from people who say 'oh I can't afford a high end ukulele'. Ahem... Ever seen such a collection where if you totalled it up you see an amount that would buy say two or three superb grade instruments instead? Owning more ukuleles that the next person is nothing I think to be proud of. It's not a competition. Having more doesn't make you a better player. It means nothing at all. Surely it's what you do with it that counts first, and secondly what makes you happy. If owning more than you can possibly ever play genuinely makes you happy I would love to hear your thoughts. So what DO I 'get' about having multiple instruments? Well for a start there are the multiple sizes to consider. For me (and I own ukes in all sizes) I despair at those who claim one size is better than any other (or heaven forbid, the blogger I once saw write that a concert and tenor is an 'upgrade' to a soprano...). They all have their place, all have distinctive voices, all have their pros and cons. I totally 'Get' owning multiples sizes. I know tastes differ, but to write one ukulele scale off against another just doesn't make any sense to me. And don't get me started on some of them being easier to play because they are bigger.. please. Then we have different woods, different tones. Yep - that can be a reason to have different ukes too. There is so much variety out there, perhaps I was too quick to comment on this? There is plenty of reason (or temptation) out there to have multiple instruments. And I suppose that the 'collecting' bug applies to far worse things than ukuleles.. (I mean, stamps? really???). No, come on Baz, back on track, you started this post. Stand by it... OK. I 'get' that there is so much choice out there, but I suppose I would just suggest asking yourself, do you really need those ten concert ukes which are all pretty much the same kind of thing, all made in China (most likely in the same factories). Ask yourself about the variety in your collections. Have you ruled out sizes for no good reason in favour of collecting a bunch of very similar instruments? Perhaps it's time to branch out a little then. My conclusion is that the concept is indeed one of a community herd mentality. 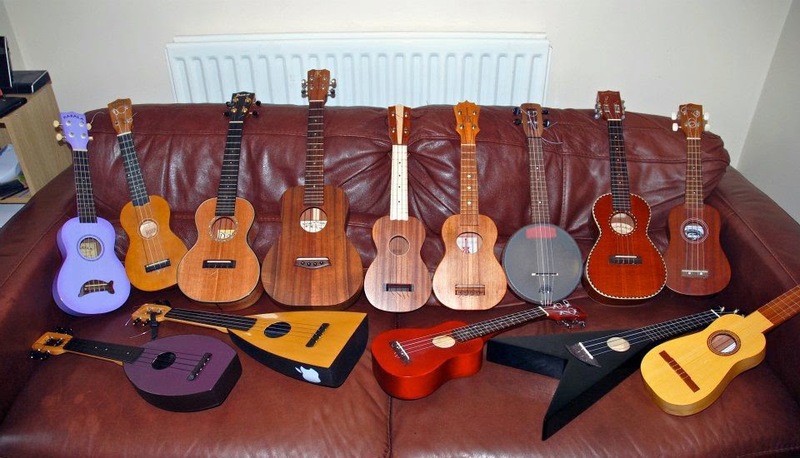 'All the people in my ukulele group collect ukuleles so I too must have one more'. I think it is also assisted by the massive number of instruments on the market today. 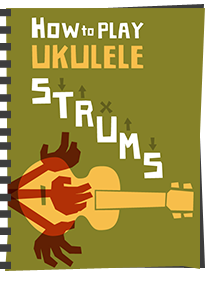 When I started playing the ukulele you would struggle to find ten ukuleles on line that were any good, let alone hundreds. Choice is good, collecting is fun I guess, but this ukulele player would recommend a more considered approach to choosing the instruments you own. Of course, if your budget allows you to collect hundreds of vintage Kamaka instruments, who am I to stop you - even if it does make me a little green eyed. Personally though, one would do me. 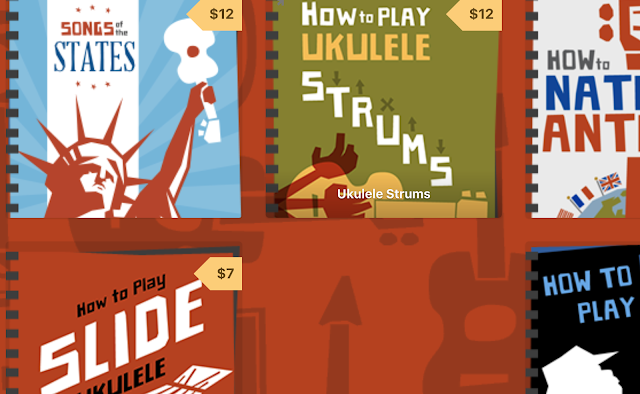 As fun as it would be to buy and own tons of ukuleles, I have made do with only keeping two. I can only play one at a time, after all. I only have seven, but with the exception of a poor little Roy Smeck soprano I rescued from a jumble sale ($20) and a plastic 'take anywhere' Kala Ukadelic mine are all custom-made. But I am puzzled when I see people buying all those cheap ukes just for the sake of saying they have x number of ukes. I'd rather (as you noted) get one good one than 7 or 8 cheap ones. But then, I'm an old fart and that might have something to do with it, too. Absolutely agree with Barry. I have a number of ukes(low double digits), each different from the others, and each is better suited than others in some way: voice, tone, playability, appearance, etc. And my favorite one to play depends on the day, song, moment, or planetary alignment (kidding on that one). I think of ukes as tools. Different driver, wrenches, etc. I am "lucky" enough to not be able to afford UAS but there are a few I want to get. Like a nicer soprano, one of the Kala Pacific Walnuts (I've liked that one every time I've seen it), a concert, something with a pickup (and then the amp & accoutrements), a baritone, another tenor in low G...but it's not happening anytime soon. And it's as much about look & detail differences about sound, too. I see these little works of art and want to enjoy them at my choosing. I'm with you on this one. I suffer from a milder form of UAS which is, as you say, about filling niches, not building up numbers. I started with a cheap soprano that you would have advised against buying to practice on and prove some sort of commitment before spending more money. I was lucky and got a playable one. Now I have six ukes, all very different. The internet has a lot to do with this phenomenon. On-line forums are full of people who say you next ukulele will be the bees knees. Buying online seems to have a lower treshold than in a brick-and-mortar music store, perhaps because in the latter you can try it, and that eases the urge a bit. I've a big bag of cheap ukes all set up to hold a tune. I take them to places like Cubs or Blind Veterans and run work shops. 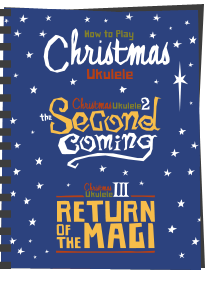 Every so often I come across a uke too good to part with. Like the little Suzuki bought for £20. I'll part with it when I meet the player who makes it sing and needs an instrument, that person will pay £20. I have a compulsion to re-string' repair and set instruments up for little or no profit. Very rewarding. I own 8 interesting ukes not for sale. When starting you don't know what you like. 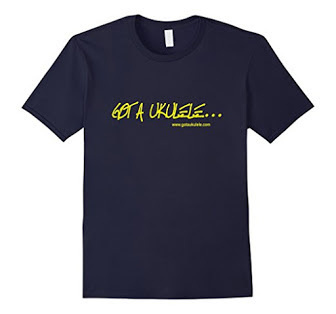 Practice helps define taste, taste defines which ukeleles to get, then there's no urgent need to get any more. I purchased all of my ukuleles the first 2 years. I have one more I want to buy, one I want to sell and one I'ved used as a loaner that I am considering gifting. That would leave me with a nice player soprano, an outdoor beater soprano, a carryon travel sopranino, a bari and a nice picking tenor. At some point I might consider a low-g tenor but the bari does the job well enough for now. Regardless I'll keep the bari around just in case I have guitar playing visitors. It's all Ukulele Underground's fault. Unfortunately in the low teens, I still have more instruments than talent! Billy Brag's 3 golden rules on buying guitars applies equally to ukes; 1, does it look good in the mirror; 2, does it look good in the mirror; 3, does it look good in the mirror. (*-*) Now, where's that Paevey Jack Daniels Uke advert. I've been learning to play the uke since last November and already have 5 instruments. There are 3 sopranos which are an orange Makala Dolphin which I absolutely adore, a Snail which I loved the look of and, my most recent purchase, an all Mahogany Mainland. The Mainland is perfect. I fitted Martin strings and it sounds beautiful. Then there is the Pono all mahogany tenor also with Martin strings (your advice is very sound Mr Maz !). This instrument is absolutely wonderful. Lastly there's a Kala solid-cedar-top concert. Lovely instrument but having sampled the Mainland and Pono I'm on the lookout for a mahogany concert. I have two modestly priced ukes, an Ohana soprano and a KPK concert. Each has its distinctive voice, quirks and qualities. I can only play one at a time! One day, when my playing abilities warrant it, I "might" consider a higher-end uke. In the meantime, I figure my time is better spent learning to play what I've got well, versus acquiring additional instruments that I can only play mediocre-ly (is that a word?). Hopefully you know what I mean! One of each size of reasonably cheap but playable uke to find my prefered size, now upgrading to slightly better sounding, but still reasonably priced, electro accoustics in my chosen scales, & hopefully, that will be it until I can play them reasonably well. I sort of had this issue with guitars. I was amassing them for a give away and then ended up with more than I needed. But before that I bought a few on my own. Mostly I was filling niches. An large body acoustic, a solid body electric, a hollow body electric, an acoustic 12 string, an electric 12 string. Then I bought some oldie time guitars. A 4 string and a parlor guitar. Next it was a old Kay acoustic and an even older hollow body electric Kay that both needed major repairs. By then I was picking up anything that I found in a yard sale or flea market that was $25 or less. Back to the giveaway - at some point I started looking for organizations that wanted guitars for programs and started buying them up off Craig's List and donating them. I gave a bunch to inner city at risk kids programs and abused women programs. I also started buying guitar parts which I put together to create playable guitars with the intention of donating them as well. I also would take any guitar that someone was giving or throwing away, again with intentions of donating them. When I ran out of programs to donate to I started giving them away to anyone who showed any interest. But even then I ended up with more than I wanted. By that time I owned more than 1 home so I left a few at each. That leaves me with more than I want or need in my main house, though each are pretty different so I hesitated giving them away. Right now, i my playing room, I have 1 acoustic that I found in the garbage and a Epi Les Paul electric. Upstairs I have my large acoustic and the two 12 string instruments. In the basement are a bunch of electric solid body guitars that I would consider giving away to someone if they wanted to try learning how to play. 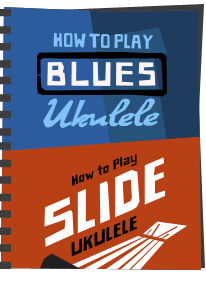 So now I should talk about Ukuleles, right. I presently have 3. A Hali soprano that I bought years ago, a higher end Ohana soprano (14 frets) that I took out of the library, and a Kali Concert that I bought last night ($250 model bought used from shop for $150 with 45 day no questions asked return) while looking for my own higher end soprano with the expectation of returning it if and when I find the soprano I want. Beyond that plan I am considering a Dolphin or some other less expensive model to match the Hali to be kept in my cabin so I don't have to transport instruments back and forth. I don't take the notion of UAS too seriously. I see the notion of it as a bit of light hearted fun. 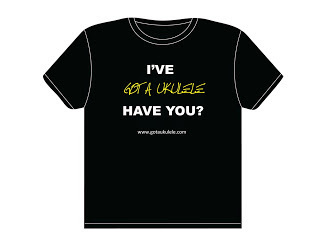 I do own a number of ukuleles and they all have a niche. Different sizes, different tunings etc. Plus a couple of cheapos I can lend or keep in the car boot. The other factor of buying different ukuleles is trying to find what suits you and I have rehomed quite a few - mainly passed on to charity shops, though one went to my granddaughter. I did the same thing with recorders - which is far more costly but in both cases I eventually reached a state where I was pretty much happy with the ones I've got and play regularly. I suspect many of us go through a similar process but referring to it as UAS is, as I said earlier is just a bit of light hearted fun. In the ocarina world, this is generally referred to in a similar manner, as OAS. I think I have eight ocarinas right now (maybe nine), but there are enough different types that it is easy enough to excuse many more than that. My favorite sounding one is probably my Claudio Colombo Triple Bass C (it is similar in range to a tenor recorder). There are people I know of online that have several hundred (which is much harder to explain). In the photography world (do I have too many hobbies?) this is referred to as LBA (Lens Buying Addiction). This is because, generally, people only get a new camera every few years to upgrade to the more recent technology, but lenses are 'forever,' and there are many different ones for many different occasions. Again, this can be easy to explain until you start acquiring several lenses of similar capability (and I am always tempted by a lens that's truly different than the ones I have). As I believe I will shortly acquire my first ukulele, assuming I have the discipline to stick with it until I have some degree of competence, I can easily see myself eventually trying to acquire a decent example of the different types of ukuleles, and perhaps one 'beater ukulele' that I'm not too concerned about damaging, but I don't think there is much chance of me continuing to get several of the same general type. I have a soprano, concert tenor and a baritone ukulele..just bought a b&m bowley soprano Uke..( waiting for delivery) a word of caution! Be wary of 'solid wood' I bought two tokai Ukes, which are solid wood aibeit laminations of the same timber..they sound great but I was expecting solid wood not lamination? So be wary of sellers manipulating words to sell something which isn't quite what you might expect? Think buying from a reputable music shop is the way to go..or a local seller as you can inspect before you part with your money! Yep - if a product description doesn't use the word 'solid' it's not solid wood, no matter what other words they use. If they DO use the word 'solid' and it isn't - then that is fraud. That's what i thought too..i took my tokai to local music shop, he explained it in this way..a guitar can have a solid top or a split top (solid two pieces of wood) but it seems a guitar can be solid wood ie laminations of say butterfly wood..and still be advertised as 'solid wood' if they say 'all solid wood' then the instrument needs to be literally solid..no lamination..my tokai is entirely laminated butterfly wood..sounds great but I'm not sure it will open up over use..whereas a solid wood Uke would do..it did bother me slightly as I was expecting a solid wood guitar..but for a £100 I guess it unrealistic? My bowley is all solid..that was £99? Buyer beware? Hadn't realised I had to analyse the phraseology! My little tokai is very nice...and I wont be parted from it..this play on words just took the edge from my happy purchase..
Joe - what your local music shop explained to you is completely wrong claptrap! If a guitar (or a ukulele for that matter) is a split top it can still be 'solid wood'. In fact pretty much every guitar is a split top for the simple reason that tone wood doesn't come in sheets big enough to cover the whole top. Soprano ukuleles can often be single sheets but they are small enough. Whether a split top or a single top - that wood can still be solid OR laminate. If a top is split but laminate, the 'split' doesn't entitle you to call it solid wood - it simply isn't! If it says solid, it can be a split top, but the two split pieces MUST be made from solid wood. I'm really annoyed by your music shop as places like that shouldn't be allowed to trade!! if they are selling split top guitars that are made from laminate as solid wood, they are fraudulent. It's beautifully made, looks authentic but the sound is quite something..it sort of jumps out! Really loud..im going to change the strings to kala pearls..i think when it starts to open up? It will shine..bargain at £99.. I like all sizes but enjoying learning to play baritone now, and I've just ordered my 14 th uke which is a 8 string kala baritone! I try to play all equally but do have my favourites to play, but life's too short to worry too much. Having read this again after more experience with ukes, I can look back and see my own signs and symptoms of this disorder. I stopped looking for a next new uke the day I unboxed my little Cocobolo Ukuleles concert. It is everything I could possibly want, except a fifth string and a cutaway body. Sure, I have more, I set my old Kala up lo G, and of course I had to have a Duke banjouke. My Ohana hangs on the wall, the victim of a warped neck (the luthier up the road says it wasn't my fault). Even if I had lots of money, I don't I'd shop again, cause I have no more room for ukes. Collecting and hoarding are similar. Hoarding is wanting and keeping more than you can ever use (ala the Koch Brothers) no matter if it hurts you or other creatures. I have no problem with collectors. I know some and they seem harmless, they even play their instruments.